This year, FITUR, the leading fair in the Spanish and Ibero-American market, will be held from 23 to 27 January 2019 at the Feria de Madrid with a larger exhibition area than past years. 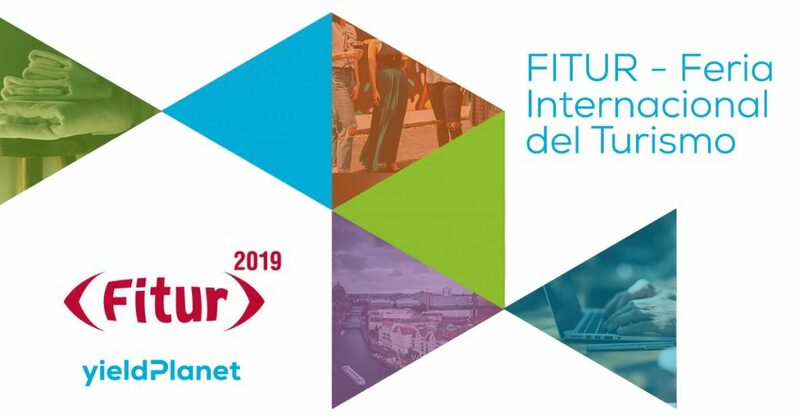 FITUR 2019 is preparing one of its most complete editions, in which sustainability, technology and specialization, will continue to have a prominent role. Yieldplanet will be present with two of its tools: Channel Manager and Price Optimizer, to help your establishment increase revenue. YieldPlanet Channel Manager is an extremely fast and accurate distribution solution. It allows you to synchronize data between your establishment with hundreds of OTAs, GDS and your own web page. YieldPlanet offers the most flexible solution on the market to optimize the prices of your rooms and your offers. The YieldPlanet’s Channel Manager is the most flexible Channel Manager in the market, allowing you to combine formulas within the mapping without limitations, assigning maximum or minimum quotas for a certain type of room, even if you include it in the general shared quota, in addition to combining discount supplements or meal plan loaded by occupation or by room. On Wednesday, January 23, we will offer a Master Demo of the Yieldplanet’s Channel Manager in our Stand at Pavilion 10 10B17 at 17:30. You cannot miss this opportunity! YieldPlanet’s Price Optimizer is a combination of an income management system and a channel manager for intelligent distribution of prices. Price Optimizer drives your RevPAR through effective and fast performance management. It optimizes prices, availability and restrictions, and distribute them according to the strategy that you define automatically to all connected channels. And it works connected to your PMS as a comprehensive solution, so you can effortlessly manage your dynamic pricing strategy. On Thursday, January 24, we will offer a Master Demo of Price Optimizer in our Stand at Pavilion 10 10B17 at 17:30. You cannot miss it! If you want to know more about our tools, request an appointment with us at FITUR or visit us at Stand number 10B17 in the FITUR KNOW HOW EXPORT pavilion.